India has diverse climatic conditions. Some parts of the country are a bit hotter, and some are bit colder. However, when winter season starts, colder places become extremely cold, and the hotter places become colder as well. 1 What is a Room Heater? 3.1.1 What Are Infrared Heaters? 3.2.1 What Are Fan Heaters? 3.4.1 What Are Oil filled Heaters? Winters are evil for our kids and elders; we need to keep them warm to stay healthy. We do a lot of things to keep them warm. Room Heater is one such thing that helps keep the rooms warm to relieve us especially the kids and elders. To have a Room Heater, you have to buy it first. So, here we are to help you find the best Room Heaters in India online. Let’s talk about Room Heaters, and then check out the list of 5 best room heaters in India. What is a Room Heater? A Room Heater is an electric device that converts electric current into heat which makes your room warmer. Basically, there is a heating element inside the heater which is actually a resistor that works on the principle that says “An electric current passing through a resistor converts that electrical energy into heat energy”. There are different types of room heaters available in India. You can choose the one that fits your requirements. So, let’s check out the top factors to choose the best room heaters in India. Energy Efficiency is a good factor to consider because who doesn’t want to save on their electricity bills? But, not everyone consider saving money only as if someone needs to warm their room well, then they cannot go for infrared heaters as they are not suitable even they use less power. But, it is good to look for an energy-efficient room heater while fulfilling other requirements as well. Safety measures must be kept into consideration while buying a room heater or any other electric device. You must check whether there is an auto on/off button available or not. This button would turn it off if it generated enough heat to prevent overheating. Also, make sure whether the heater is shockproof or not because your kids may be around, and get a shock if they touch it. So, it is important to make sure they are shockproof. Some room heaters are a bit noisy. Therefore, while buying you should consider this since all of us would want a quiet room heater. 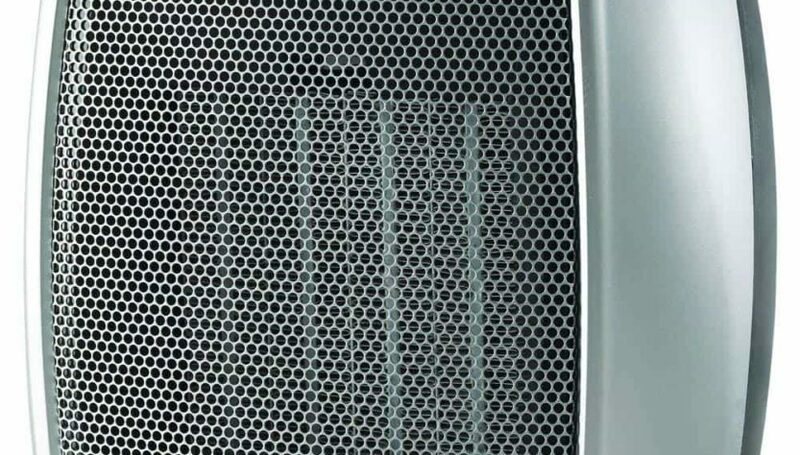 If you buy a noisy heater, people sitting in the room may get irritated. The heater’s power impacts its heating output. Thus, consider Wattage of the room heater while buying to make sure it can heat your room quickly. More the wattage, the quick heating will be done. Orpat ORH-1410 is an infrared room heater which looks very nice. Its ergonomic design makes it a balanced design which doesn’t slip or fall. The grill used in this is plated with nickel chrome, and the reflector is made up of the same as well. It is well suited to 10*10 room. It efficiently warms up the people in the room who sit in front of it. Since it is an infrared heater, it directly passes the heat to the people making them warmer quickly. When it comes, infrared heaters, it is one of the best room heaters in India. Heats up quickly and give warmth to the person sitting in front of it. Heat doesn’t stay even for a minute in the room after you turn it off. It can be dangerous for kids as they can put fingers through its grill. No heat control is there so; you have to turn it off when there is too much heat produced. Q: Does it need a power plug or normal plug? A: No, not at all. In fact, most of the infrared room heaters don’t make noise. Q: Should we use it in an Infant’s room? A: Yes, but make sure it is kept far from the baby. Also, you need to keep monitoring over it because too much heat can cause problem for the baby. So, you must be there. Q: What is the cord length? A: It is 1-1.5 meters long. Infrared Heaters are also known as Halogen, Quartz, and Radiant Room Heaters. In this type of heaters, there are Nichrome heating wires and a wire guard to keep the wires tangle-free. This type of room heater doesn’t heat the air, but it directly passes heat to the objects nearby it and the heat is absorbed by the objects making themselves warmer. As soon as you turn it off, the warmth will disappear because air doesn’t get heated. This is good for 1-2 persons if they put the heater in front of them. It can be used for small rooms. The good thing is it consumes less power, and it is quiet; there is no sound. Usha FH 3628 PTC 1800 Watt is one of the best room heaters for winter in India. Usha is a well-known brand for its quality products. This fan heater is really amazing in many ways. You can keep it on high heat or low heat setting as per the requirement. Once your room is heated enough, it will be turned off automatically. When heat is generated in this heater, the fans help spread the heat everywhere in the room to offer extreme comfort in the winters in every corner of the room. It has some really good security features such as a protection switch, tip over switch, and overheating protection. Generally, Fan heaters make noise, but it does produce very little noise. You would need 15AMP socket to plug in. Always keep the heater at a good distance from other electric appliances. It consumes more power that increases your Electricity bill. Not kids safe. In fact, not any such heater is kids safe. A: Not at all. But, when the fan is at high speed, it makes some noise. Q: Can it be used overnight? A: It is a powerful room heater, but it is not advised to use it overnight. 5-6 hours continuous use is enough but, if you want, it can work overnight. Fan Heaters are also known as Blower Room Heaters, Ceramic Room Heaters, and Convection Room Heaters. In Fan Heaters, the air around the coil and ceramic plates heat up as they get heated. Then the heated air is distributed in the room with the help of the fan. That is why it is called as Fan Heaters. Since, air gets warm, even after turning it off, warmth stays for some time in the room. However, it does take some time to heat up the whole room. It utilizes consumes more power. Thus, more electricity bill you have to bear. These are bit noisy. 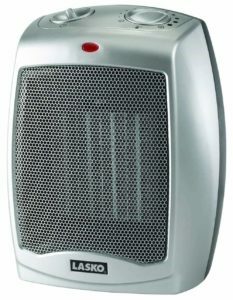 Lasko 754200 Ceramic Heater is one of the good room heaters in India that you can use for heating your room in the winters to stay warm. This gives big relief to kids and olds in your home. It has an adjustable thermostat for personalizing the heating levels. You can either use an only fan, low heat, or high heat modes. It has a handle to carry it easily. When it completely heats the room, it auto turned off, to prevent overheating. Quite portable due to its smaller size. Carrying handle that makes it easy to carry it to places. It cannot heat a large room. The heater takes time to cool off after it is switched off. Though it is not noisy, when the fan is set to the highest speed, you can hear some noise. Q: Does the heat stay in the room when the heater is switched off? A: Yes, it stays for some time because it spreads makes the air hot. So, for some time hot air stays in the room keeping the room warm. Orient Electric OF1104F is 2900 watts Oil Filled Heater. It is first on our list of its kind. Oil filled heaters are generally very costly but are very efficient. 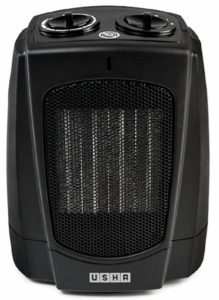 With 11 fins with fan, it is the best Oil filled room heater with temperature control in India. There are 3 heating modes: Min-800W, Med-1200W, Max-2000W. 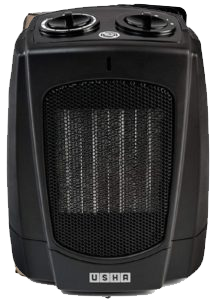 This heater comes with a fan that helps spread the heat throughout the room quickly. Safety features such as triple overheat protection and cord storage are there. There are castor wheels which help you easily move it to places within your room. 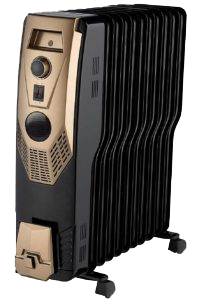 it is probably the best oil filled room heater in India. Efficient heater to heats up small and big rooms. Heat stays for a longer time even after the heater is switched off. We didn’t find any big con of it rather it is a bit costly. Not everyone can afford it. Q: Would the plug fit to normal 5AMP socket? A: No, it doesn’t. It needs 15AMP socket as the wattage is high. Q: What is cord length? 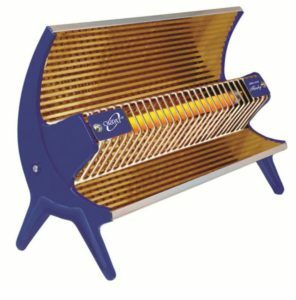 What Are Oil filled Heaters? Oil Filled Heaters are also known as Oil Heaters, and Oil filled Room Heaters. These are the best heaters for rooms because the heat stays for longer. There is a need for oil to make it work, but the oil is not used as fuel. The oil is used as a heat reservoir which gets heated when electricity passes through it. These are designed to make bigger rooms warm. This suits the best for bigger rooms as once heated; the warmth stays for long in the room even after you turn it off. These heaters are quite expensive. They are not noisy. 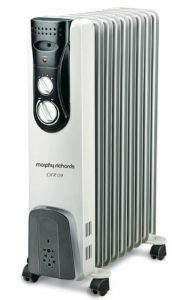 If you want to have a room heater with modern and stylish, Morphy Richards OFR 09 Oil Filled Heater is the best choice to go for. There is a thermostat to adjust the heat as per the requirement. Castor wheels are there for easy mobility within the room or house. It doesn’t dry the air so that it is perfect for winters when our body needs moisture. It maintains the moisture of the room by not drying the air. Castor Wheels for easy moving. Heat stays for long time after switching off the heater. It doesn’t have a fan, and due to that, it takes some time to heat up the whole room. Q: Is it good to heat up 12 x 12 room? A: It is perfectly fine for this size of rooms. Q: How much time it takes to heat up? A: within 5-10 minutes, it makes the surrounding warm. If you talk about rooms, then it depends on the room size. Smaller rooms will get heated fast, and bigger rooms may take some more time to get heated up completely. Always keep around 3 feet distance clear from the heater. Don’t keep clothing or any other electrical items close around it. Don’t use extension boards for plugging the heaters because they might get overheated. Always plug to the main socket directly. If you need to use the extension, make sure to take the one with heavy wires. Also, don’t plug other electrical devices in the same electrical outlet in which you plug the heater. Always keep your heater away from the kids and pets. Always turn it off if you are going away. Avoid using room heaters in the bathroom. Try not to touch the heater when it is on. Especially, when you are wet. Next time, when someone asks you which is the best room heater in India, make sure to show this list of the best room heaters available in India. Hope this guide helps you know more about room heaters, their types, and safety measures while using them. Also, you have the 5 best room heaters to choose from. Thanks for detailed information on heaters. I bought Usha heaters last year and it is working so fine. It is worth very penny. Very good content!! You can customize your choice of heaters by reading this article. Every person has different expectations from same products. It focuses on that. You will definitely find a room heater according to your choice. Good article to recommend to a friend and family. Thank you!! Glad you liked the list. Room heaters are saviours in this chilling winters. We are sure that the “best room heaters in India” list is helpful to you.